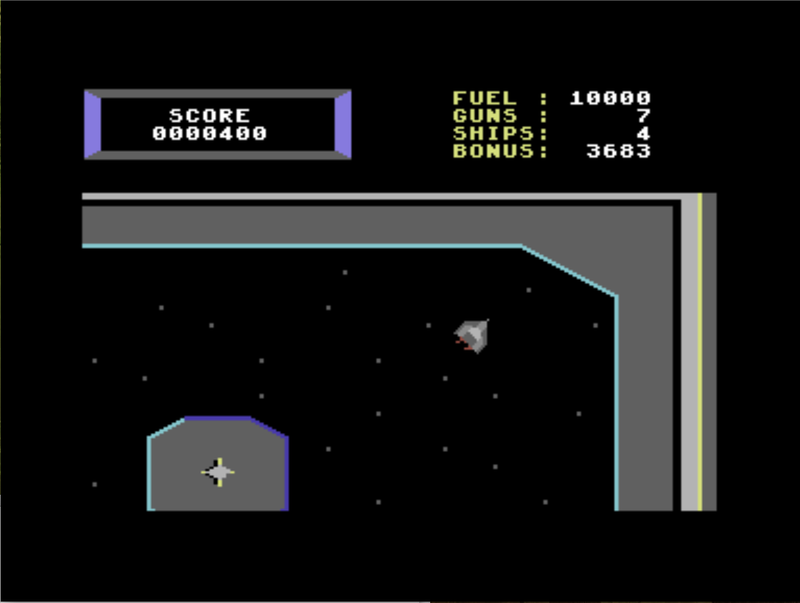 While trying to find a different game on Gamebase 64, I came across Magnetron. It's a spacecraft shooter on a scrolling world. The graphics are fantastic, but this has got to be one of the LONGEST games to load, and fastloaders don't seem to work. I need to find instructions, too, as I can see there are special keys that do things like bring up maps, etc. It was published by Broderbund, who released one of my favorites, Raid on Bungeling Bay.